Use these tips to get flying with MIT35CMHO Lutema helicopter! 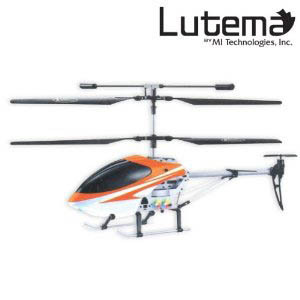 Your remote control 3-channel Lutema helicopter is fun to fly but if you’re a beginner you’ll need to give yourself some time to master the remote control and certain maneuvers. With a bit of practice you’ll be flying your RC helicopter like a pro in no time at all. Here are some basic tips to help you get started. Be sure to monitor your Lutems helicopter when the battery is recharging. Lithium batteries can heat up quickly. While the Lutema helicopter is charging, get your space ready. Close windows and doors, move any objects out of the way and make sure you have enough space between the remote control helicopter blades and people around you. Before you start flying your RC helicopter, make sure it’s turned off and the throttle on the remote control is all the way down. You don’t want the R/C helicopter spinning off before you’re ready to take control and hitting someone blades to hit anyone. 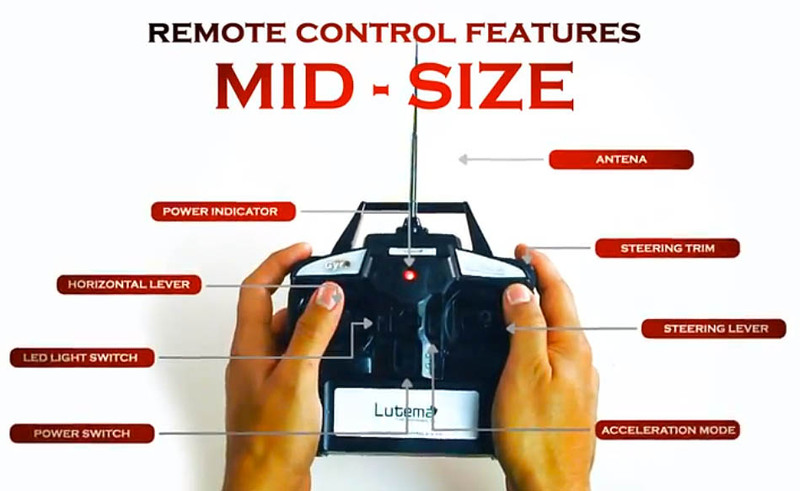 Your Luttema MIT35CMHO helicopter remote has three main controls: the throttle, the direction and the trim. The throttle is the left hand control stick. Pushing it all the way up will make the R/C helicopter gain height. Push it all the way down and the remote control helicopter will slowly descend. The direction is the right hand control stick. Push it to the right and the helicopter moves in a clockwise direction. Push it to the left and the RC MIT35CMHO helicopter will spin in an anti-clockwise direction. Use the trim button to stop uncontrolled movements. If the remote control helicopter starts spinning off into a clockwise spin, press the right trim button to correct it. If it starts spinning in a counter-clockwise direction, press the left trim button. Your first practice with the Lutema helicopter will be to learn how to keep the helicopter at a constant and stable altitude. Switch the RC MIT35CMHO helicopter to ON. You should see some flashing lights. Place the R/C MIT35CMHO helicopter on a flat surface with nothing it its way. Take a few steps back before turning on the remote control. Slowly push the throttle up until the helicopter lifts off. Use the right trim button to stop uncontrolled clockwise spinning. Use the left button to stop uncontrolled counter- clockwise spinning. Land the remote control helicopter by slowing releasing the throttle stick. The MIT35CMHO RC helicopter will slowly descend. Once you’re comfortable with getting the Lutema helicopter off the ground, try doing some maneuvers. Push the throttle stick up and stabilize the remote control helicopter. Push the direction stick to the right and get the remote control helicopter to start flying in a clockwise circle. Once you get the handle on how the remote works on the Lutema helicopter and the various directions the MIT35CMHORC helicopter can fly, experiment with the controls. You’ll find your natural flying style and start doing more complicated maneuvers in no time. Check out the video below for more Lutema MIT35CMHO remote helicopter flying tips.